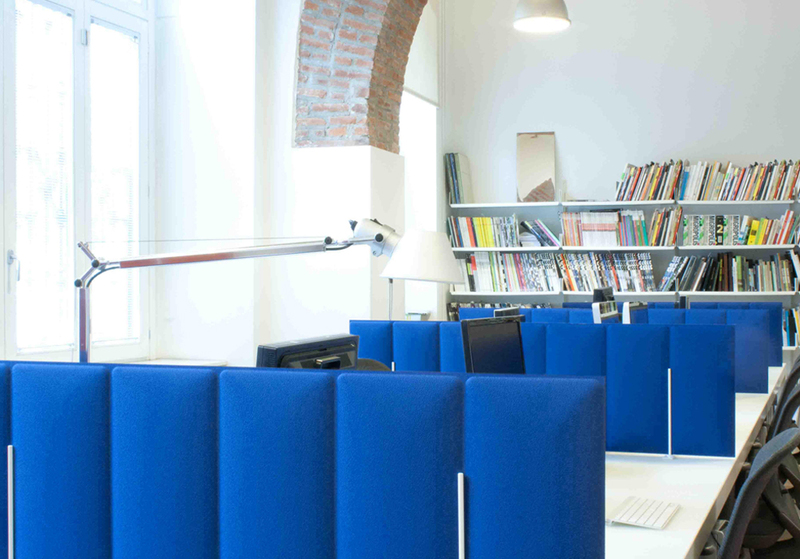 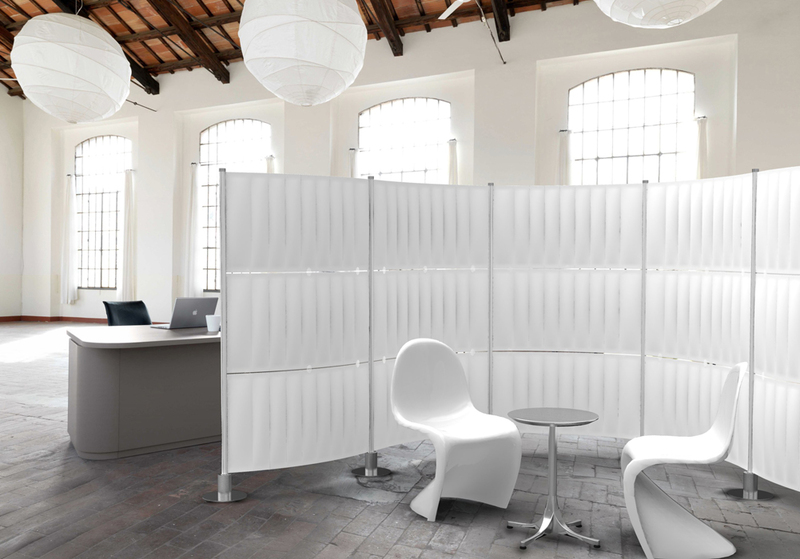 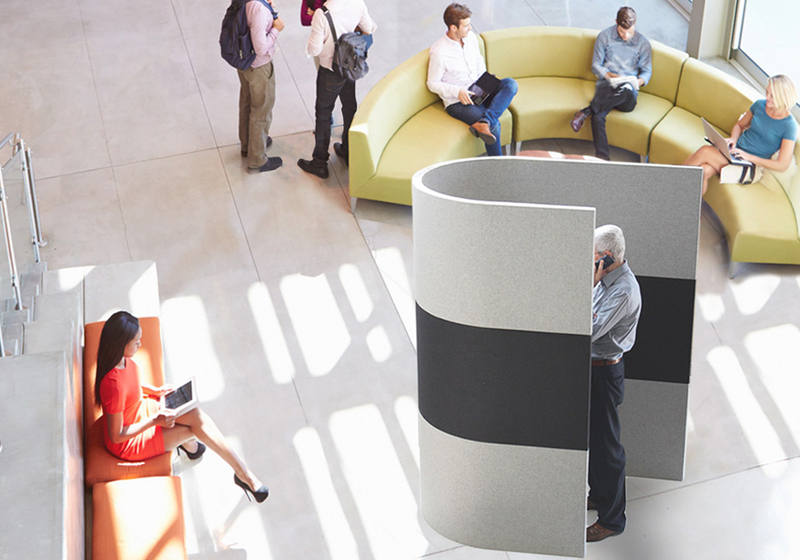 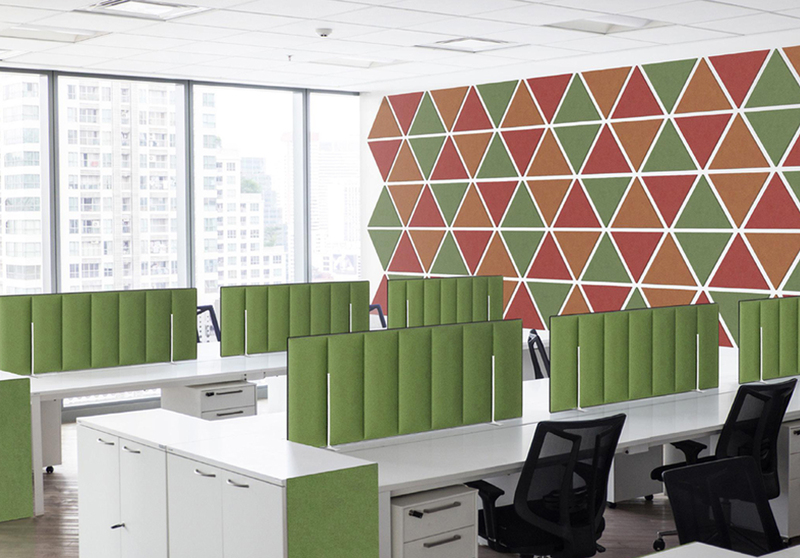 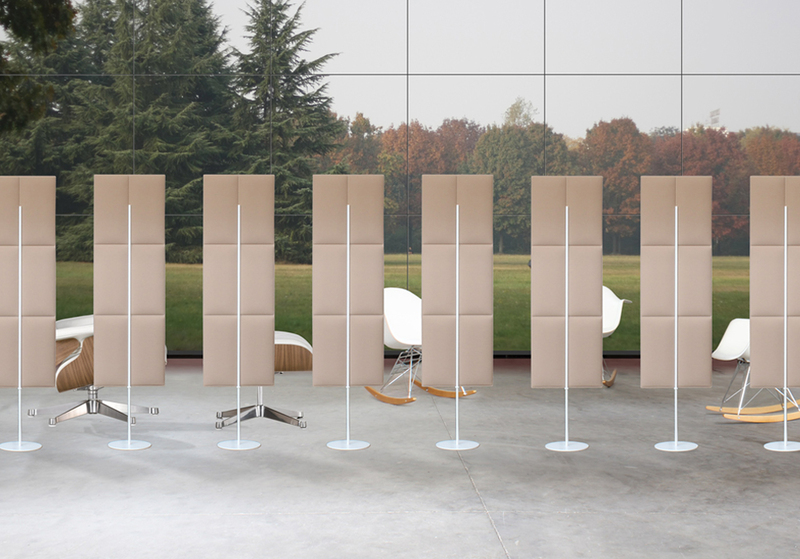 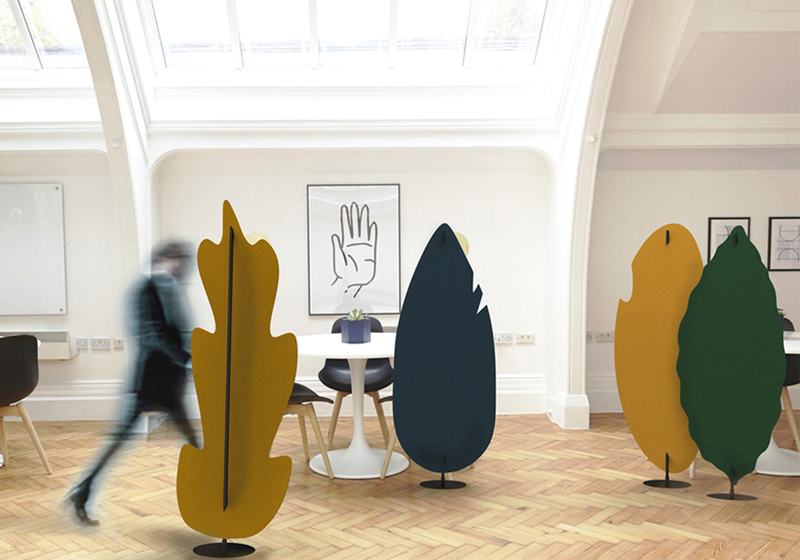 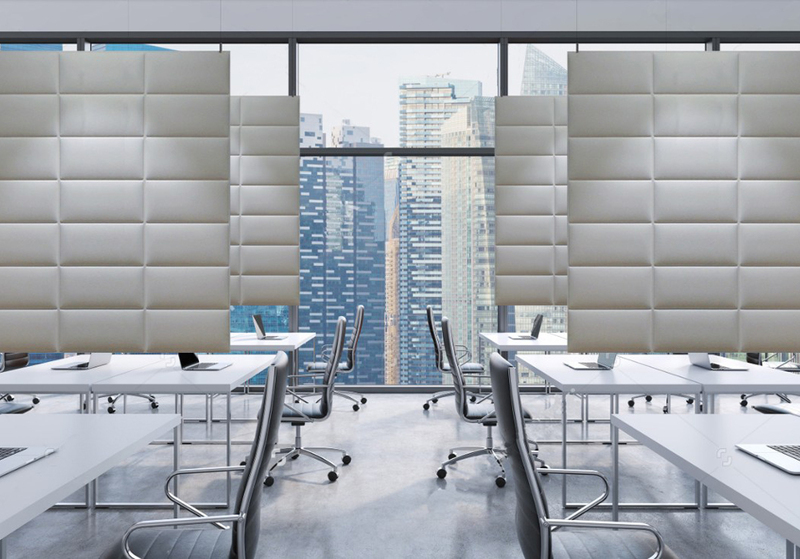 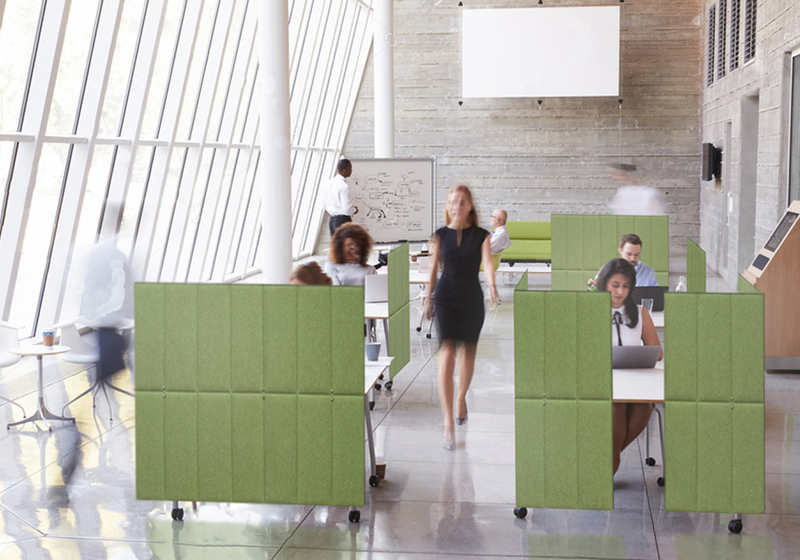 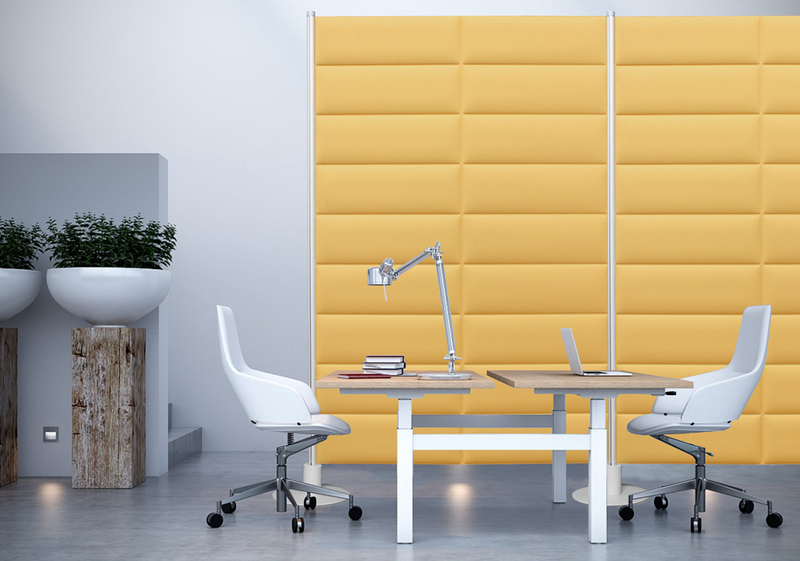 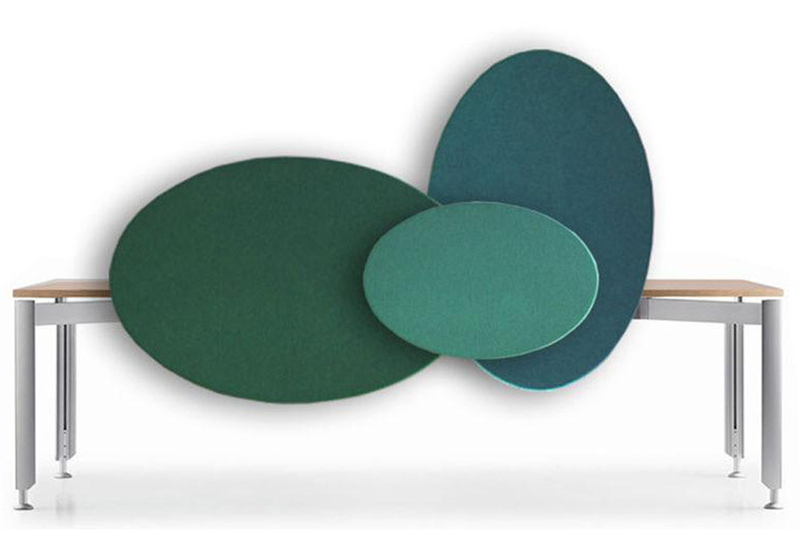 ECO acoustic screens are made by laser cut technology and they are upholstered with different fabrics. 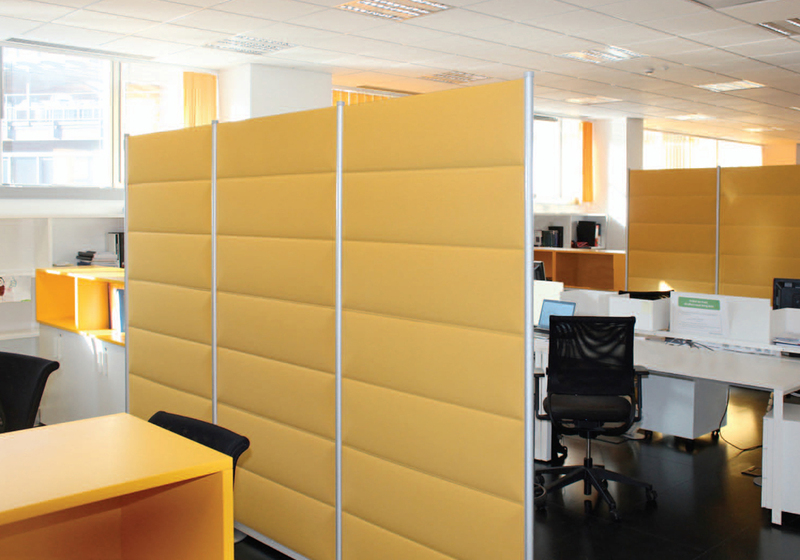 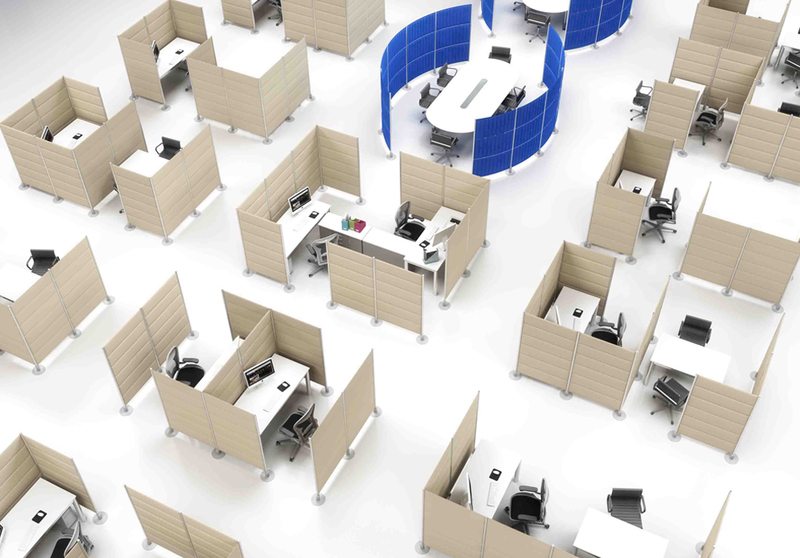 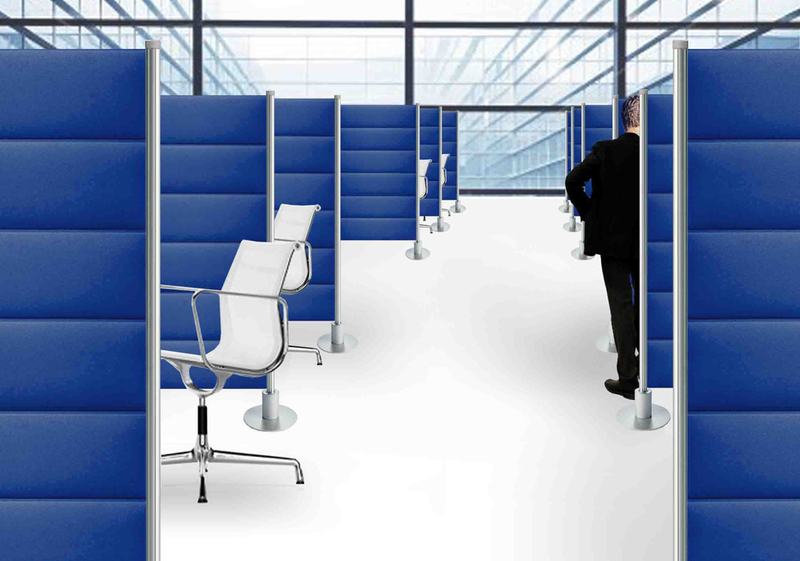 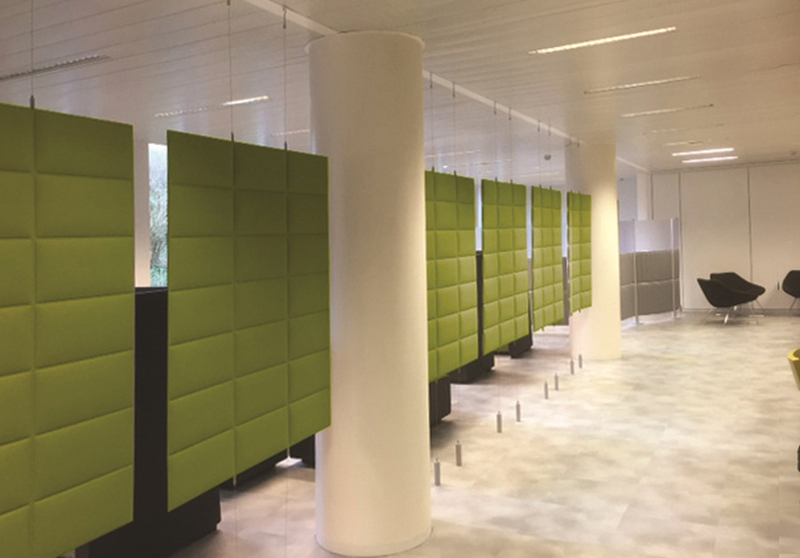 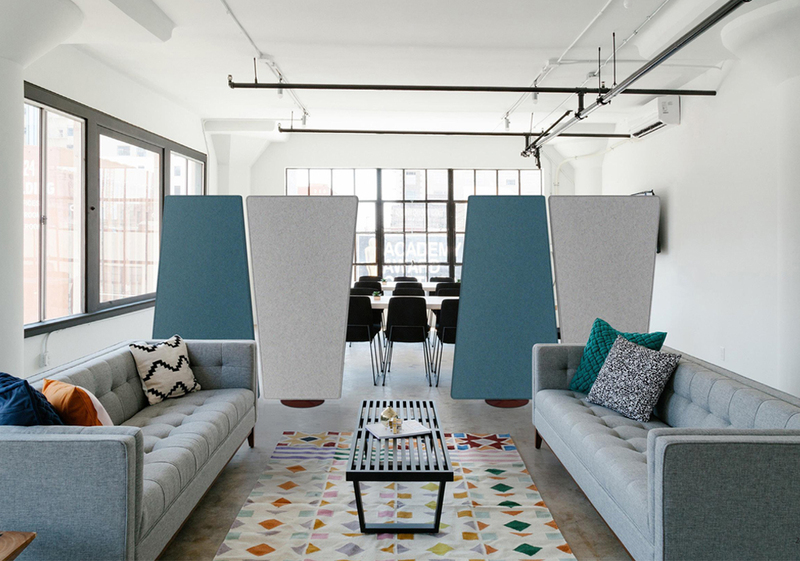 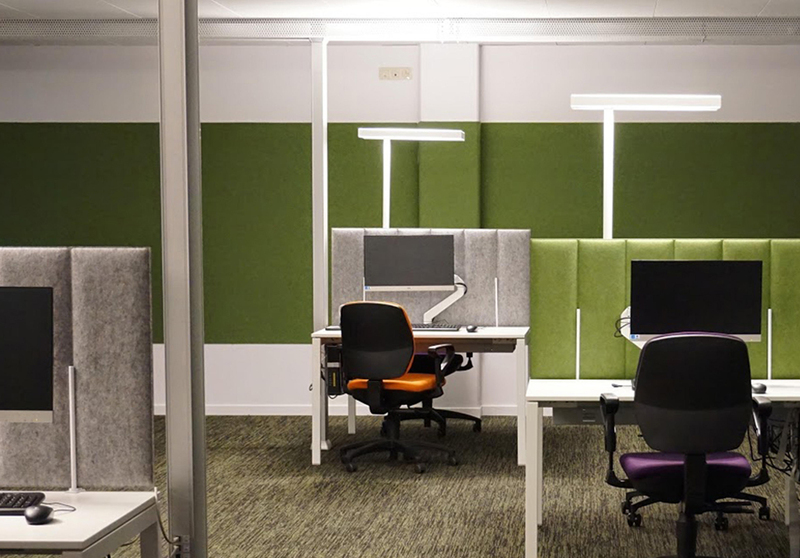 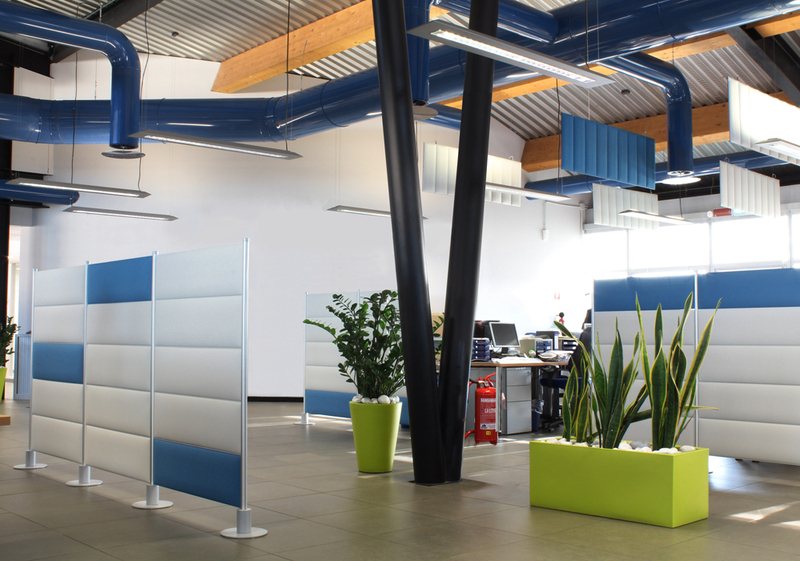 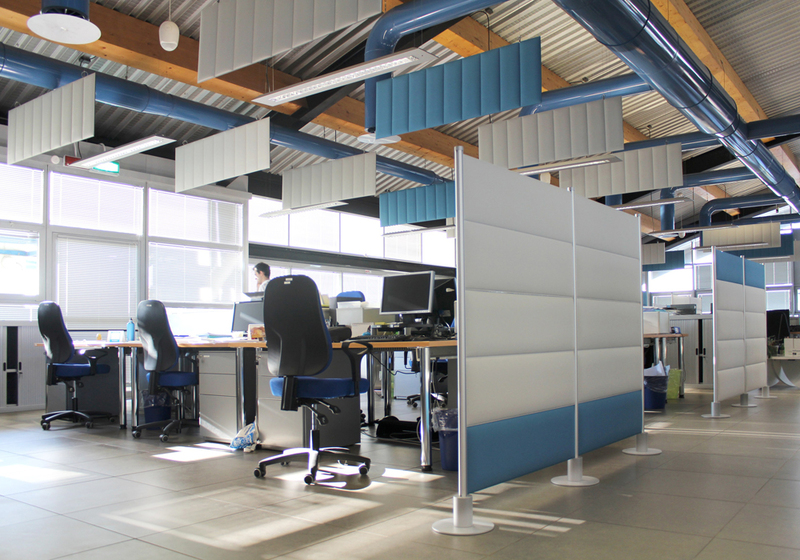 Screens can be fixed to the desk, from the ceiling and used as a freestanding panel system. 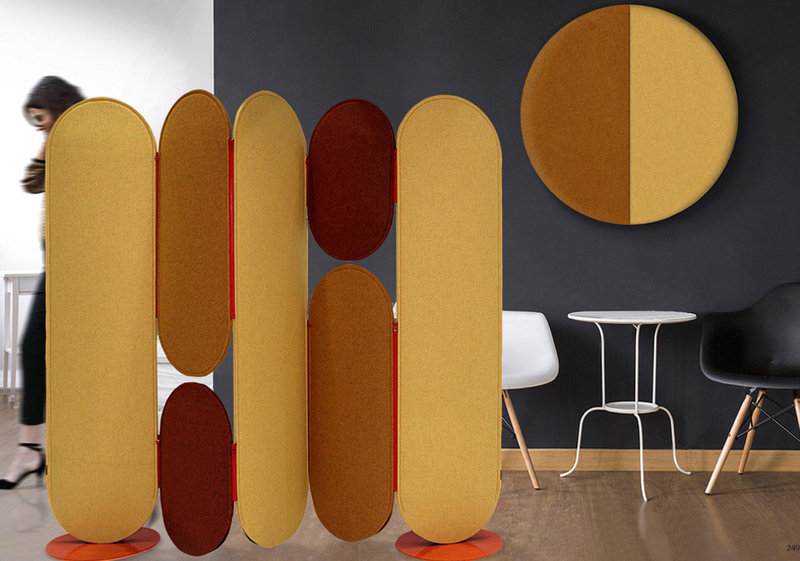 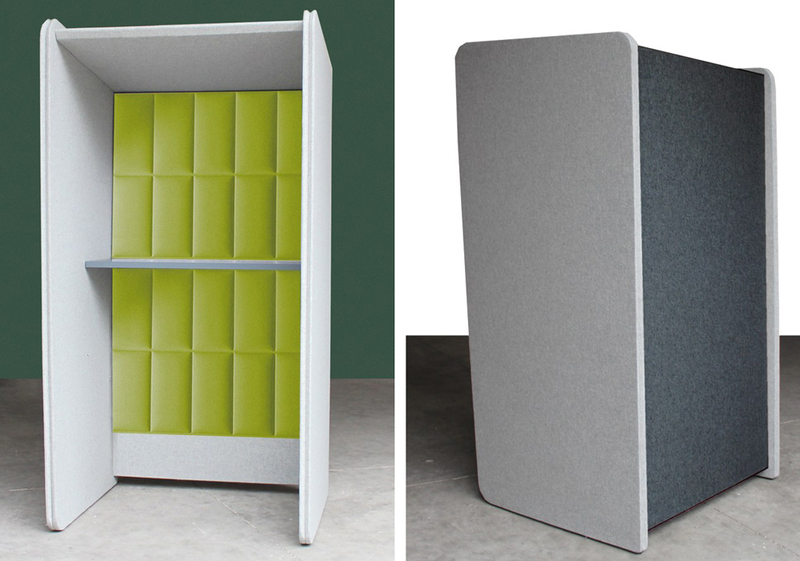 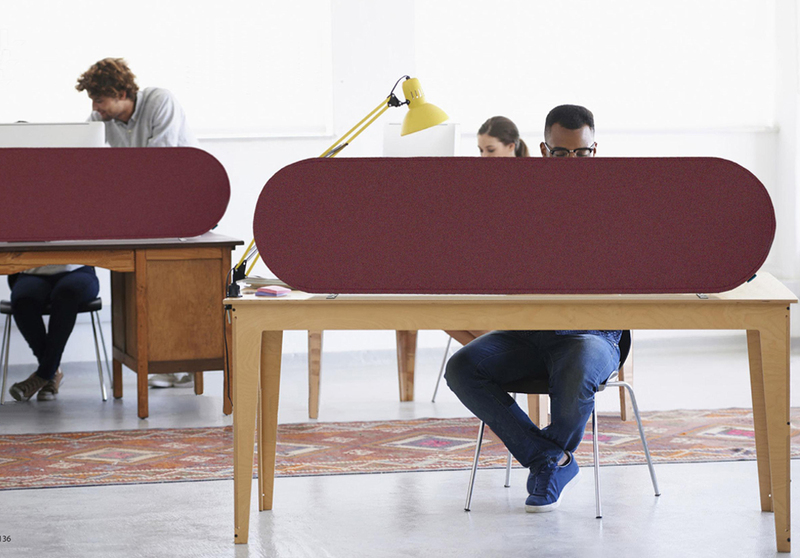 Phone booths are upholstered with wool felt, or pet felt for maximun acoustic efect.